As if it wasn't exciting enough that the spin-off series is even happening, hearing the news that Diego Luna (who played Andor in the film) is reprising his role for the show is better still. It'll be called Disney+, and it'll be populated by new material in Disney's most popular franchises, including Marvel and Star Wars. "Going back to the Star Wars universe is very special for me", Luna told StarWars.com in a story tied to Iger's announcement. 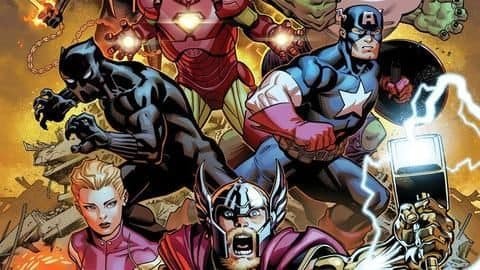 The streaming service will also be home to Marvel content. The series will premiere on Disney+, Lucasfilm parent company Disney's upcoming streaming service. Do you plan to subscribe to the new Disney streaming service Disney+? Disney+ is expected to debut in 2019 with a price Disney CEO Bob Iger promises will be reasonable. At the present time, the Rogue One prequel series doesn't have a premiere date, but with production slated to begin early next year, a 2020 release seems realistic. British actor Tom Hiddleston will star in a new Star War prequel series to Rogue One: A Star Wars Story. But as it turns out Disney is not done with the characters who made the movie so great. - The Walt Disney Companys new direct-to-consumer streaming service will be called Disney+, Iger announced. I can see this one being slightly more niche, given that the character hasn't led a movie by himself. Personally, I didn't really think Cassian Andor was a super memorable character from Rogue One, aside from his opening scene in which he straight-up murders an innocent man to preserve a key secret. He also said that Disney+ will feature navigational features "that typically don't exist" and that it will "super serve the most ardent fans of those five different brands by creating experiences and environments customized and personalized to those brands". What project are you more excited for?